In addition to demonstrating their speed, agility and strength at the 2018 National Football League Scouting Combine, top football players also undergo comprehensive physical evaluations that include X-ray exams. This year a Carestream DRX Core detector is being used with the existing X-ray system at Lucas Oil Stadium (Indianapolis, Indiana) to produce high-quality diagnostic images in seconds. Additional imaging exams to evaluate athletes’ health were conducted at Indiana University Health Methodist Hospital in Indianapolis. NFL coaches, general managers and scouts who are preparing to draft new players evaluate more than 300 top prospects at the annual combine. 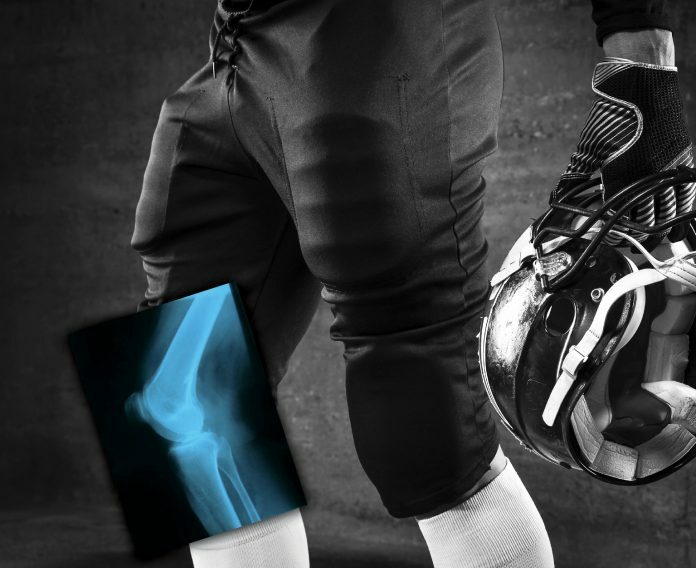 Multiple NFL teams – and other sports organizations worldwide – are using Carestream’s advanced digital medical imaging systems to diagnose and treat player injuries. The newest addition to Carestream’s growing portfolio is a cone beam CT (CBCT) imaging system (see video below) that produces medical images for use in diagnosing conditions and injuries for professional athletes and recreational sports enthusiasts. The CARESTREAM OnSight 3D Extremity System enables sports medicine and orthopaedic specialists to capture 3D and weight-bearing images of hands, wrists, elbows, knees, feet and ankles, which provide important diagnostic information that is not available from traditional CT systems and other types of patient extremity exams. Carestream worked closely with leading orthopedic specialists, sports medicine physicians and athletic trainers to develop this compact 3D imaging system for use in treating a variety of orthopedic injuries and conditions.